A riff off of the Cappuccino with all its frothy goodness. Once you try out the Beaten Coffee, there is no looking back. And expect you to look very fresh and bright! How you wish to your bed you could crawl! This is the reality. The first time when I found a bunch of officers at my doorstep at 12 at night with the customary anthem, “Mam…Coffee please”, I was aghast with horror. I didn’t know what to do. The husband reassured me saying it is part of our lives and that he has done it too. This was payback time! “You should be prepared to cook and entertain them till wee hours in the morning. You would be lucky if they ask only for coffee and not a complete meal”, he said. Phew! 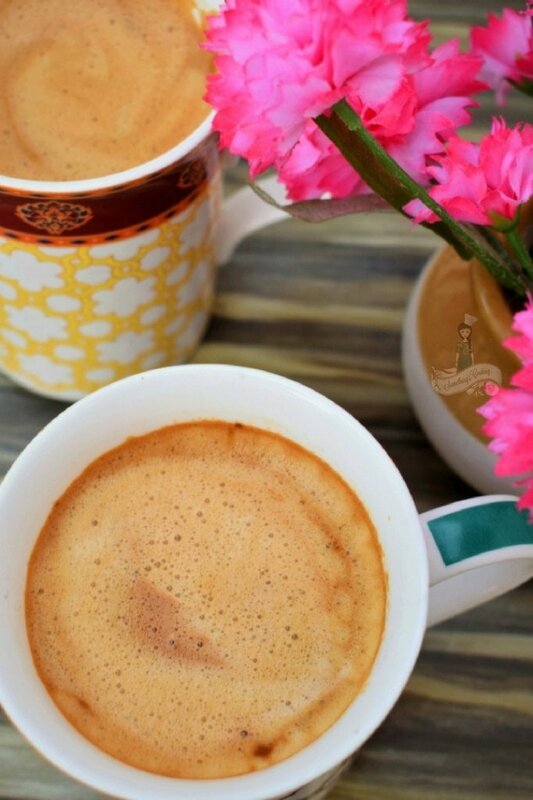 The story of the Beaten Coffee goes back to the day night when a frustrated Memsahib decided to teach these bachelors a lesson that they will never forget. When the boys came banging the door for coffee, she gave them a coffee mug which had a blend of coffee, sugar and boiled water. She asked them to mix and beat the mixture till it frothed up. Little did the boys know that it would take all their might to get the job well done. Ten minutes of non-stop stirring later, they resolved never to disturb a family ever again. 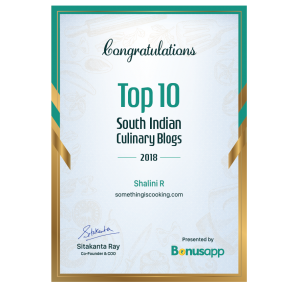 However, the Memsahib served them with the ultimate coffee, the one that can beat any Starbucks Cappuccino – The Beaten Coffee. The bachelors realized that their effort was worth it. From then on, a cup of coffee in our lives means having the Beaten Coffee. Keep 1/4 cup of water for boiling. 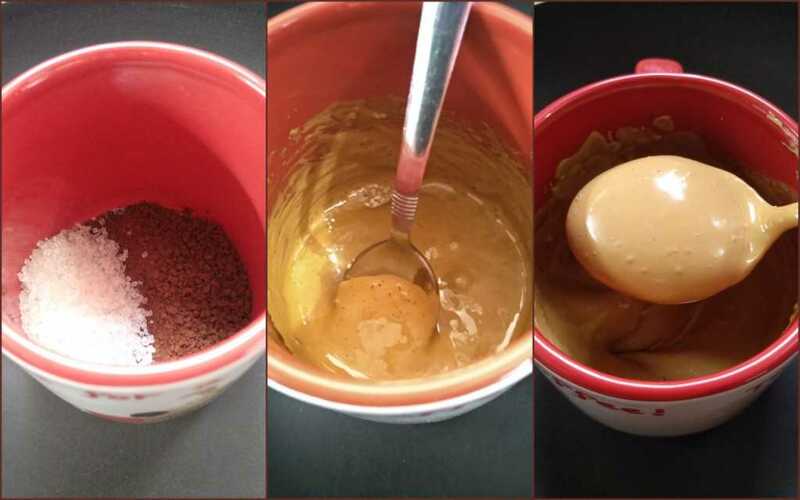 In a coffee mug, add coffee powder and sugar. Add about a tablespoon of boiling water and mix well with a spoon. Continue the process of mixing and beating for about 10-15 minutes, adding little boiling water, till it becomes frothy and doubles in bulk. Divide this frothy mix into 3 cups. Boil milk and water in a saucepan. Pour it onto the cups and stir lightly. Love the recipe? It is worth sweating over the task of mixing and beating. Pin this for later and definitely try and let me know how it turned out for you. Yaay! Here comes my all-time favorite coffee ‘The Beaten Coffee’ My friends named me ‘Beaten’ Lol 😀 cause whenever I drink and serve coffee beaten coffee remains my priority! And loved to visit your website <3 You are amazing blogger. Keep it up dear Much love. I just found you on the #atoz and i love your theme and voice. Im bookmarking your site. This coffee looks divine. I am sure it will keep me company on the many #atoz nights that are to come. Thank you, Nayantara. Means a lot! It might help with my stress levels at the present. Oh! I completely know the might of beaten coffee. I love it absolutely and only when I wish to treat somebody with the unthinkably best coffee do I put in the effort to beat coffee into the heavenly froth it becomes. I have nevet had this coffee before. I am gonna try this for sure. But I don’t have instant powder coffee. I got one from Mocconna . I guess that will require a lot more beating. That recipe is AWESOME but I don’t know if my 65 year old wrists would withstand all the beating. On the other hand, it would build up good strength. I’ve pinned this for later! I understand, Alana. You can use a handheld beater to froth the milk instead. 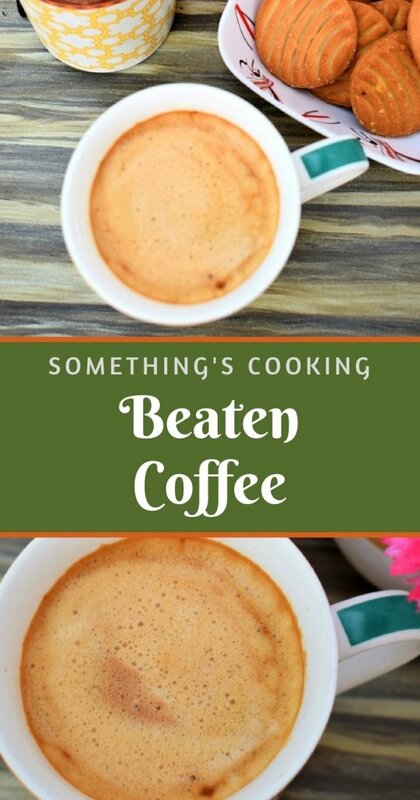 I’ve never heard of beaten coffee and find it quite interesting… I love coffee, I’ll have to see if I can find a hazelnut instant to try with, but I’ll def give a try. I’m also writing in the A to Z… on my favorite childhood book – Nancy Drew. Hope to see you stop by. I’ll be back! My mom makes beaten coffee. I loved the anecdote . Interesting story behind its origin! Yue post took me back to the time when I was in the hostel. We used to take turns in beating the coffee one by one. I agree beaten coffee is the best coffee I had till date. 🙂 You should definitely try this one! That’s one awesome looking coffee! I always wondered how my friend could make this perfect frothy coffee, I guess now I know the secret! Haha! You must definitely try this! Wowww!!! I HAVE to try this! Never thought of such an idea! Mouth-watering! 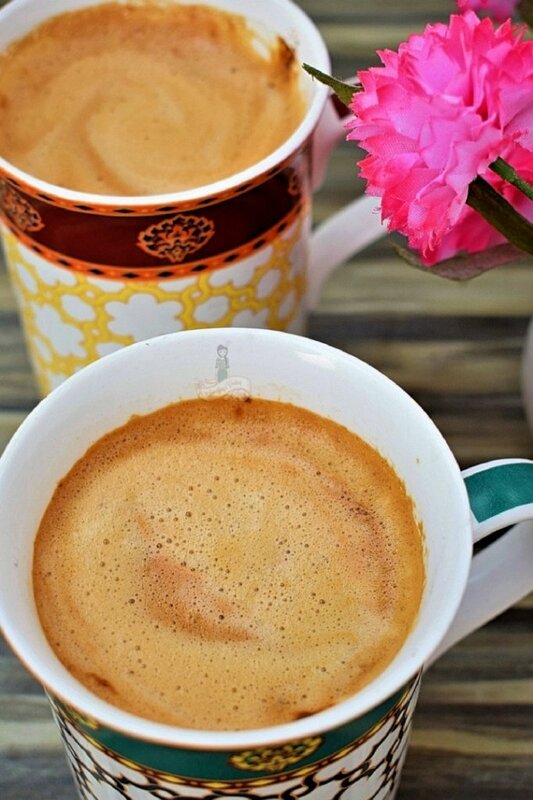 I love new coffee recipes… coffee is one of my favorite things. Thanks for sharing! I love beaten coffee more than anything..I could almost smell the aroma of beaten coffee through your post. And I know this army life..we have been there done that..lovely post Shalini. Beaten coffee, my all time favorite, I too am in ur shoes dear. It is something that I keep beaten for surprise guests. That’s amazing, Pragun. So glad you can relate to it. I love beaten coffee! Was introduced to it by my mum a few years back! But I didn’t know that it was called beaten coffee until I read your post! Cheers! Coffee is heaven. I am already craving it after reading this. Going to try this today itself. Evening cuppa is sorted. Yay! COme back and leave a comment as to how it turned out for you, please? Would you believe me if I said I have never tried beaten coffee? Anyway that is about to change, and right now actually. Headed to the kitchen to make this. Will let you know how it turns out. Looks like a peretty good recipe! I’ll have to try it. Thank you, John 🙂 You must and please let me know how it turned out for you. Yes, this I remember from way back when 23 years ago, I visited my cousin’s friend who served me beaten coffee. I did wonder what all the fuss was about, but then fell in love with it. Hey, that reminds me, I haven’t had beaten coffee in ages! Will make it soon! This I shall try! 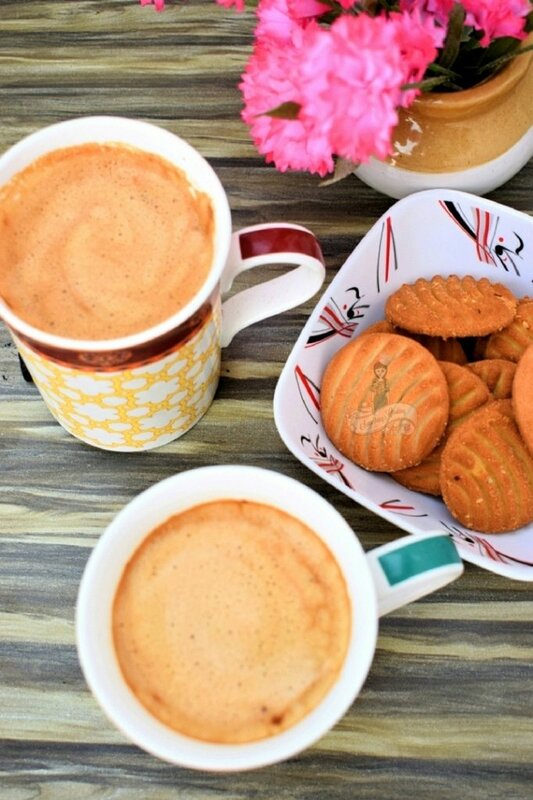 🙂 I love coffee, I love cookies! Thanks, V. Do let me know how it turns out. With an Uncle in the CRPF, i have had the privilege of having this most delicious coffee! I have had to go through the torture of making it for 12 people too! A fond memory! Haha! Good one. The ‘bouncing’. Great to meet a fellow fauji wife. And yes, wonderful tutorial. Ah! This reminded me of the MBA days in the hostel when we used to beat coffee (to death, as a friend would say) just like this during our late night chats. It’s been ages, since I had this beaten coffee. Wow! I had never heard of beat coffee till I got married to the FOrces. Phew!